Botswana is undoubtedly a very beautiful country with a lot to offer to the tourist market. There are so many lodges to choose from. Whatever you are looking for, there is something for the discerning traveller. People travel for various reasons. Some travel simply for the sake of travelling and mainly look for a place to rough it a bit, as long as they are guaranteed to see a lot of game! – after all that’s what they came for. While on the other hand, others look for exclusive luxury accommodation. To them, it doesn’t really matter if they see wildlife as long as the level of luxury comprises things like real beds, down pillows, pure cotton sheets, Persian rugs, bone-handled silver cutlery, damask table linen, private plunge pool, to name just a few. 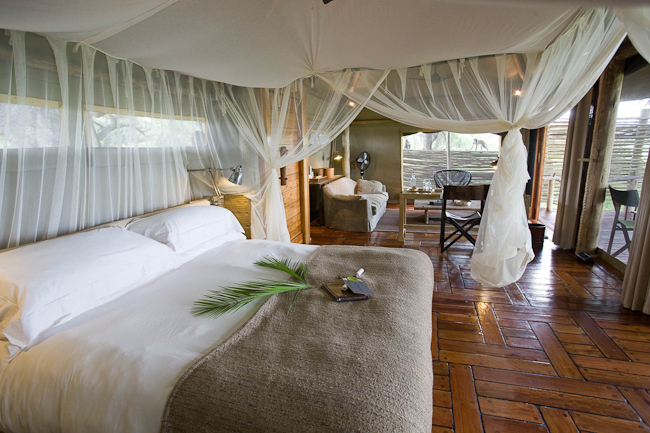 A bonus will be if the comfortable and tasteful spacious luxurious safari tents are tucked away amongst trees, each with a private terrace and veranda from which animals are viewed. – value for money, there is no point in forking out a lot of money only to be disappointed with the results! Below is a list that I have compiled on some of the most beautiful and fascinating lodges/camps in some of the most breathtaking, picturesque parts of Botswana. There are still so many lodges to mention but, for now, these will do. Please note that they are not arranged in order of preference. Situated within the Chobe National Park, in the extreme northeast of the park commonly known as Chobe River Front. The only lodge situated within the Chobe National park. Lodge in an area home to the largest concentration of elephant in Africa. Accommodates up to 94 people. 47 river-facing rooms, air conditioned with overhead fans, en-suite bathrooms. 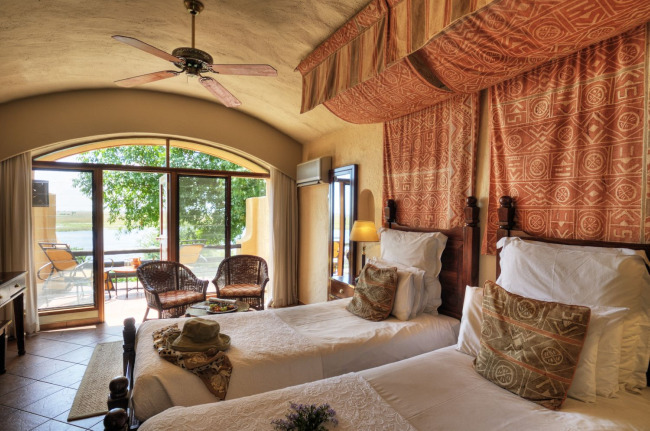 4 river view suites, each with own plunge pool and lounge area. All rooms have complimentary stocked mini bars and tea and coffee making facilities. Large swimming pool with terrace. In-house beautician. Gym. Morning/afternoon game drives. Boat cruises. Fishing. Golf Course in close proximity to the lodge. Victoria Falls 1.5hrs drive away from the Lodge. Located in Botswana’s Makgadikgadi Salt Pans. Area has the elusive and rare brown hyaena. Spacious and stylish canvas tents. 10 tents with en-suite bathrooms featuring indoor and outdoor showers. Mess Tent with Natural History Museum, Library, antique pool table. Plunge pool and a larger swimming pool housed in a beautiful tent. Walk with a gang of habituated, yet wild meerkats. Walk with Bushmen Trackers for a cultural experience. Morning/afternoon game drives. A visit to Chapman’s Baobab, campsite of Livingstone & Selous: one of the three largest and oldest trees in Africa.Quad biking across the pans. In summer, experience the spectacular migration of zebra and wildebeest – the second biggest in Africa, and the last remaining in Southern Africa. 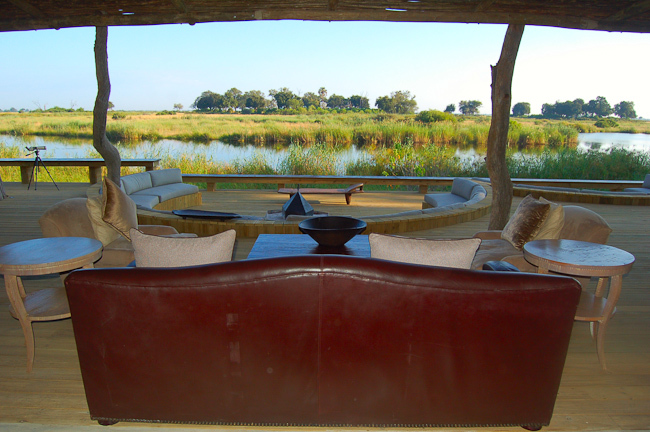 Situated in a remote part of the diverse and productive Central Kalahari Game Reserve. Located in the largest conservation area in the country and one of the largest in the world. The area is well known for the legendary Kalahari black-maned lion as well as some of the world’s best cheetah viewing. Offers some of the best summer wildlife viewing opportunities in Africa. Unique topography. 10 en-suite canvas units with a sleep-out above each. Private en-suite facilities.100% solar powered. Swimming pool. Game drives. Interpretive Bushman walks. Visits to Deception Valley or even further afield for more game viewing opportunities. Overlooks the vast Khwai River floodplains and beyond into the Moremi Wildlife Reserve. Predators can regularly be seen in the area, rated as one of the most prolific in Botswana for viewing wildlife. Spa body treatments on offer. 14 super luxury tents set on raised deck, with en-suite facilities. Each tent air-conditioned with ceiling fan, mini bar, private viewing deck. One of the tents is a private suite with private plunge pool, private guide and game drive vehicle. Large swimming pool, with deck. Small gym. Morning and afternoon game drives. Guided walks. Optional cultural tour of local village. The camp overlooks the oxbow-shaped Kings Pool Lagoon and the Linyanti River to the north. Area famed for its large herds of elephant. 9 well-appointed tented rooms with thatched roof bathrooms. Plunge pool and sala in each unit. Each en-suite bathroom is tiled with separate toilet, double vanity and basin, shower – and an outside shower.Lounge, dining room and pub areas. Communal Pool.Day and night game drives. Game walks. Seasonal boat cruises. Game viewing hides. Situated on Mombo Island, adjoining the northern tip of Chief’s Island, within the Moremi Game Reserve. It is one of the camps in Botswana that lives up to its ‘six paw’ status again and again. The game and birdlife is prolific all year round. Large concentrations of plains game occur in front of the camp. Resident massage therapist available. 9 luxuriously furnished tents, raised off the ground. Well appointed canvas rooms with en-suite facilities, additional outdoor shower. Plunge pool.Morning and afternoon game drives. In the northern reaches of the Northern Tuli Game Reserve, on the banks of the Majali River. Meals prepared in open view for individualised menus. Special wedding sites. Permanent water holes where one can watch animals from comfort of their room. 5 luxury suites. Private en-suite facilities with private plunge pool. Wellness Centre. Fully stocked safari boutique. Game drives. Astronomy. Bush dinner. Bush walk. Private dinner or lunch. Vumbura concession north of Mombo, bordering Moremi Game Reserve. One of the few areas in the Delta where one can spot the rare Red Lechwe and Sable Antelope on same game drive. Resident massage therapist available. 2 x 14 bedded satellite camps linked by raised walkways. Each camp has its own dining and bar area. Each suite has spacious bedroom with en-suite facilities, shower, flush toilet and outside shower. Each suite has its own plunge pool and sala. Day and night game drives. Nature walks. Mokoro trips. Boat excursions. Great birding opportunities.